Travis Cienega is a native of Brenham Texas. He grew up and graduated High School in 1998. At a very young age Travis would cut his friends hair and knew he would be doing this as a career someday. 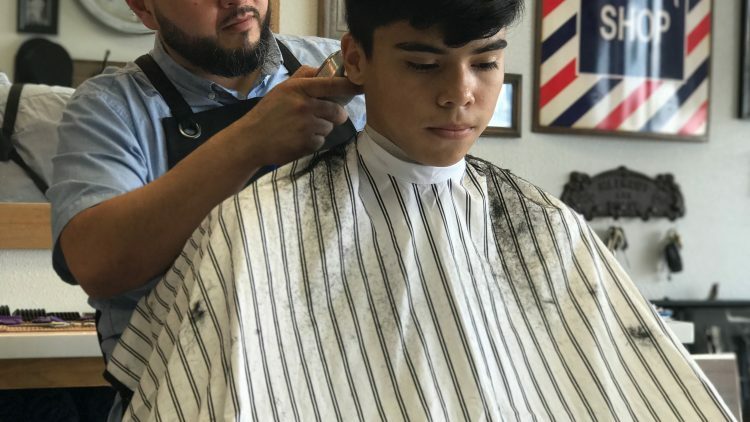 His first haircut at 14 years old was when a friend trusted him to do a cut and in just a few minutes, the shaggy-haired boy was transformed into a sharp, polished young man!! 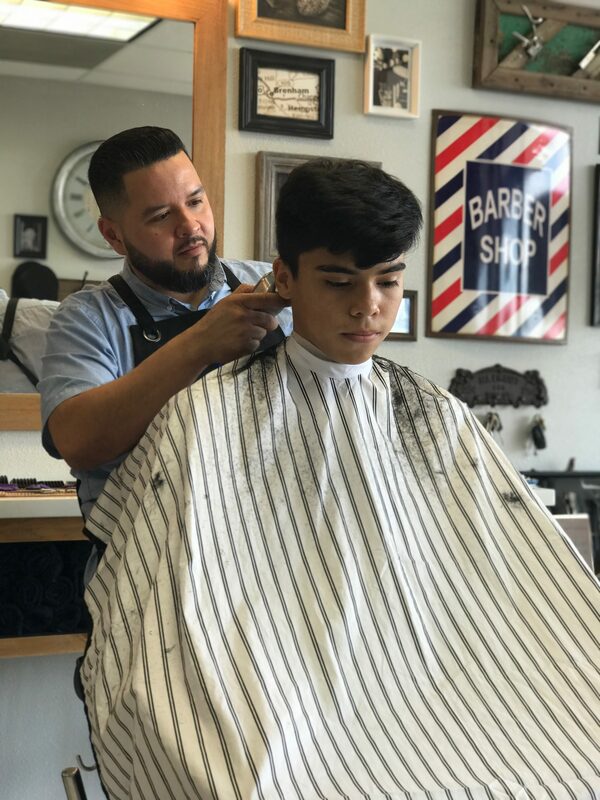 When Travis saw the instant boost of self-confidence the fresh cut gave his buddy, he knew that barbering was the way he wanted to spend his life. His goal is to build a solid, trusting relationship with each client, and make them feel their absolute best. Travis attended Texas Barber School in Houston, Texas where he received his license in 2003. 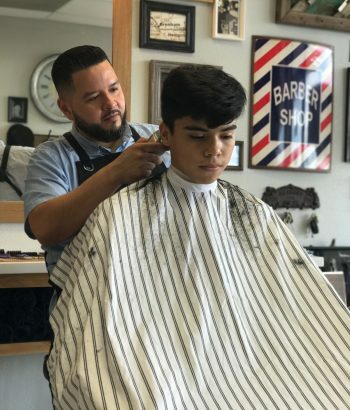 He came back to Brenham and started working at a local barbershop for 14 years and built up a loyal clientele base. As with anyone the dream of owning your own business was a feeling he just couldn’t shake. So the summer of 2017 Travis made the decision to pursue his dream of owning his own business, and Primo’s Gentlemen’s Barbershop was born!! Travis wanted his clients to feel special, this is why he chose the classic style and “go back in time” décor that adds to the comfort they feel the minute they walk through the door! 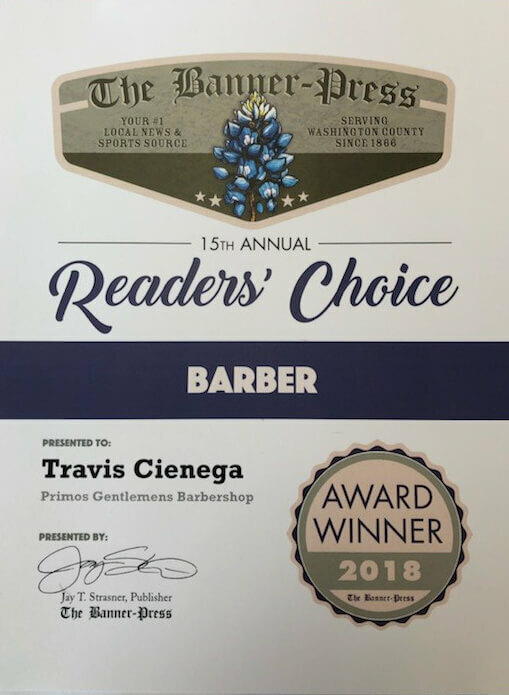 Travis and his wife Valarie would like to welcome you to the shop for a precision cut or an old fashioned shave, because “being a gentleman never goes out of style”.